New York, NY – December 4, 2018 – The just released second season of hit period comedy series, The Marvelous Mrs. Maisel—featuring a housewife in 1958 New York who discovers her talent for stand-up comedy—provides a historically accurate look at a much-celebrated era of America’s greatest city. The portrayal couldn’t live up to its own high standards without the indelible music of the time and producers relied heavily on the well-known catalog currently owned and controlled by Concord Music Publishing. With songs such as Irving Berlin’s “Cheek To Cheek,” and “There’s No Business Like Show Business,” to Rodgers & Hammerstein’s “Younger Than Springtime” and “Shall We Dance?”, Concord Music Publishing’s catalog features over 390,000 copyrighted works, spanning all musical genres and containing many of the world’s most celebrated compositions. “We are thankful to be able to work closely with the show’s music supervisor, Robin Urdang, to pair these iconic compositions with larger than life characters and stories which embody the essence of New York City in the 1950’s,” says Brooke Primont, SVP Synchronization, Concord Music Publishing North America. Concord Music is the independent, worldwide leader in the development, acquisition and management of recorded music, music publishing and theatrical performance rights. With offices in Los Angeles, New York, Nashville, London, Berlin and Cleveland, Concord Music has a diverse and vibrant roster of active recording artists, composers, and songwriters, and a vast and historic catalog of works by some of the most treasured names in music history. Concord Music’s master recording portfolio contains more than 12,000 active albums and includes no less than 271 GRAMMY® winners (representing approximately 6.25% of all the GRAMMYs® ever awarded) and 400 gold, platinum, multi-platinum and diamond RIAA certifications across 213 titles. The company’s active labels – Concord Records, Fantasy Records, Fearless Records, Loma Vista Recordings and Rounder Records– collectively release more than 100 new recordings per year across many musical genres. Concord Music is also home to the #1 kids’ music brand, KIDZ BOP. The company’s historical labels, which are managed by its Craft Recordings team, include such storied imprints as Fania, Fantasy, Independiente, Milestone, Musart, Nitro, Pablo, Prestige, Riverside, Savoy, Specialty, Stax, Telarc, Varèse Sarabande, Vee-Jay and Wind-up. Concord Music’s publishing business was transformed in 2017 when it acquired Imagem Music Group and integrated it with Concord’s existing publishing operation, The Bicycle Music Company. This combination resulted in a catalog of over 390,000 copyrighted works, spanning all musical genres and containing many of the world’s most celebrated compositions. 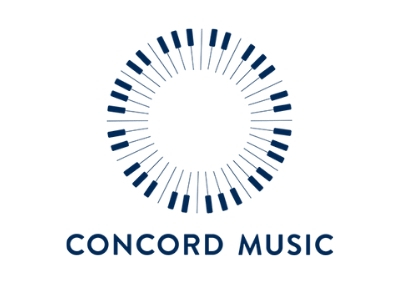 Concord Music also supports a diverse group of current composers and songwriters who are continually creating important and commercially-successful new musical works. With the Imagem acquisition, Concord Music also added Boosey & Hawkes, the world’s leading specialist classical music publisher, and the legendary Rodgers & Hammerstein Organization. In 2018, Concord Music welcomed the renowned musical theatre library, Tams-Witmark to its publishing business. Boosey & Hawkes, Rodgers & Hammerstein and Tams-Witmark will remain as individual business units under the Concord Music umbrella. Concord Music is the operating entity of Alchemy Copyrights LLC, an investment company that is owned by Barings Alternative Investments, Sound Investors, and seventy institutional and individual partners, including forty members of Concord Music’s management team. At the forefront of intellectual property valuation, acquisition and utilization, the Concord Music investment underscores the partners’ belief in the lasting and appreciating global value of superior original entertainment content.